2010 saw the dissolution of the Netherland Antilles and the formation of the Caribbean Netherlands, which consists of the islands (“special municipalities”) of Bonaire, Sint Eustatius, and Saba. These islands are home to some of the most diverse natural wonders of the Caribbean, and the world. Bonaire is known for it’s salt production which is an important aspect of the island’s economy and history. 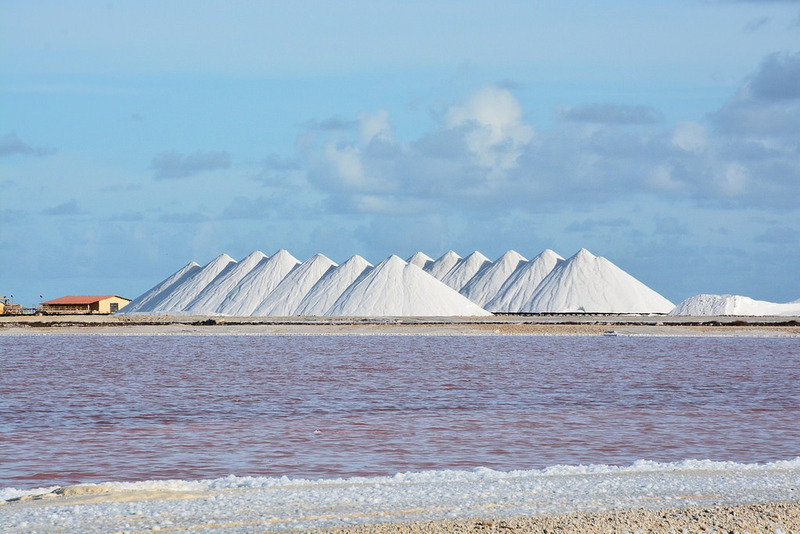 The salt is produced naturally in saltpans – shallow containers or depressions in the ground where salt water evaporates and leaves behind a deposit of salt. 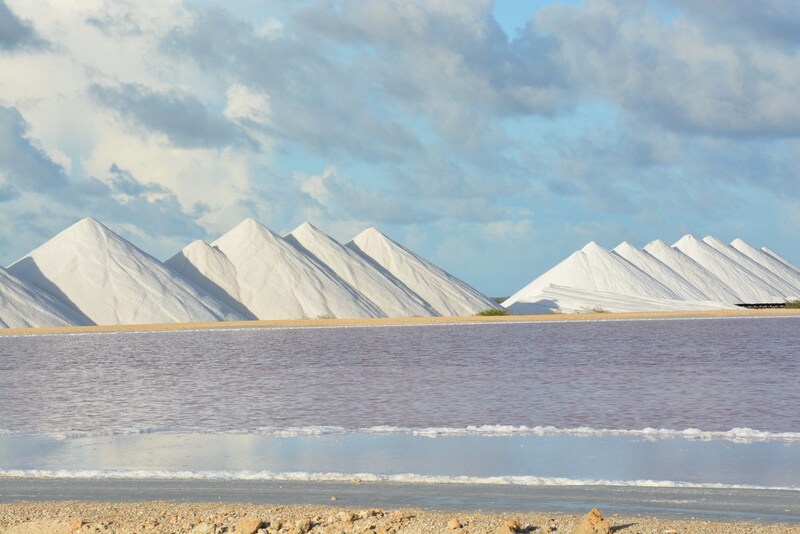 The natural production of salt creates beautifully hued saltpans ranging from bright blue to wild pink; while the white salt mounds stand like snowy mountains overlooking the expanse of water. While many of us are used to the turquoise blue so common within the Caribbean, Bonaire is one of the few islands home to Pekelmeer – Dutch for “salt lake”. Located on the southern end of the island, the salt flats of Pekelmeer boast a myriad of colors – the blue of newly flooded areas, the shimmering white of dried salt mounds, and the soft pockets of pink pools overrun with brine shrimp. Not too far in the distance are the main inhabitants of the area – a plethora of birds, from herons and osprey to stunning, graceful flamingos. 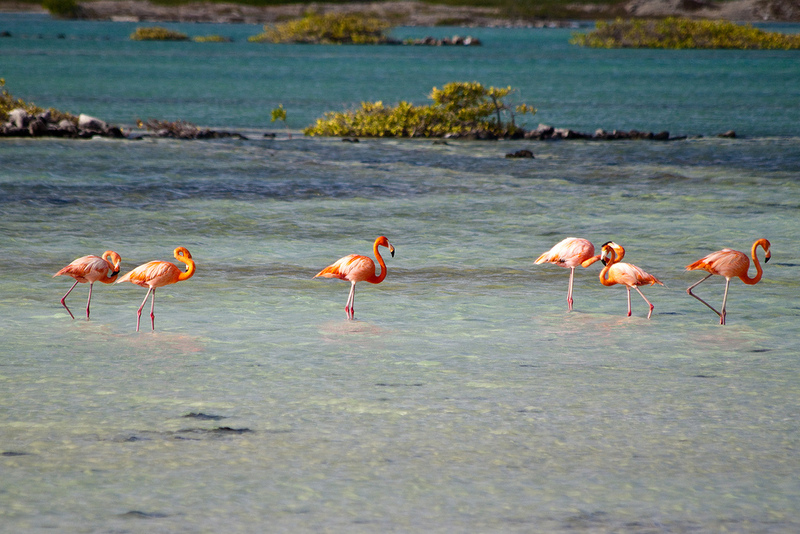 Because it is one of the few places in the world that is a breeding ground for flamingos, the area is home to the Pekelmeer Flamingo Sanctuary, an area protected from tourists but visible with binoculars from the road or the neighboring Pink Beach.